“You can have genealogy without heraldry but you can’t have heraldry without genealogy”, said Dr. Rolf Sutter at the RootsTech 2015 in Salt Lake City. And - it always has to do with family! And experience shows us that heraldry is often the initial approach to family research. 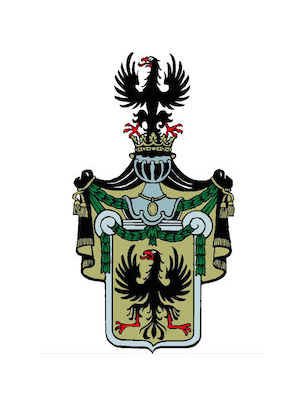 Much of our research work begins with the endowment of a family coat-of-arms. In most cases, once a family has its own coat-of-arms, a totally new feeling for family matters emerges together with the desire to find out more about its past generations. And that is the basis for genealogical research. Things normally begin by the family looking at the present generation and taking down dates and documenting names. One very important step in the research is to question older members of the family who can remember who was who, and where, and when! Such knowledge from still-living relatives is an enormous and valuable source of information which will dry up when they pass on. 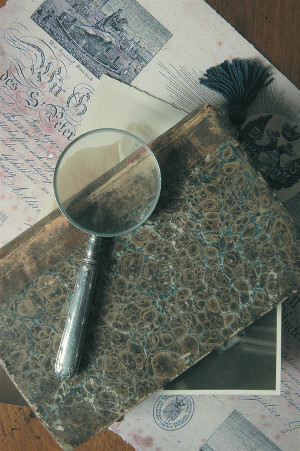 Many family stories and anecdotes have never been written down and exist still only in the memory of living relatives. The professionals look at heraldry on a regional basis. Practically every country has its own practices and laws. 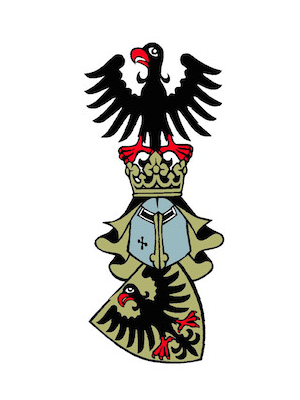 In Germany, for example, a coat-of-arms is always endowed for the whole family, whilst in Great Britain every family member has his or her own slightly modified version of the family coat-of-arms. 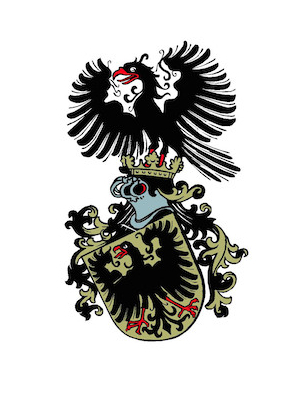 When it comes to heraldic law that means what in one country holds good need not necessarily apply in another country. This can be easily explained by looking at the long history of heraldry. Man has only been able to travel faster than the horde since the 19th century. At the time of the Crusades it was absolutely impossible to set up globally applicable laws and at the same time spread their implementation to all those affected by them. Anyway, no-one had anything like that in mind in those days. The objective of this platform is that a herald from the country in which a coat-of-arms has been endowed should examine that it is correct and then, as appropriate, protect it internationally. 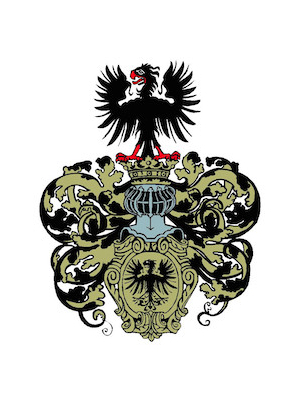 As mentioned above, the design of a coat-of-arms will depend on the country in which it was established. To enjoy national and international protection, however, it is important that the coat-of-arms for which protection is sought complies with the heraldic rules and regulations of the respective country. 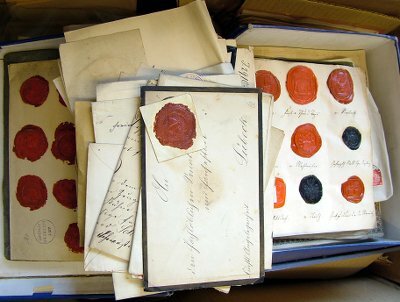 The heraldic rules are a codex which has developed over the years. 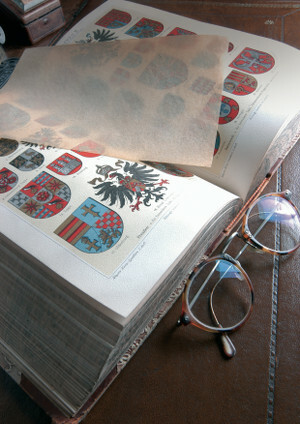 To check and confirm an existing coat-of-arms for correctness can only be done by an experienced herald. Unfortunately, we are still seeing that clients come to us again and again with a coat-of-arms to have it registered and we note that the arms cannot be registered because it is not correct from a heraldic point of view. 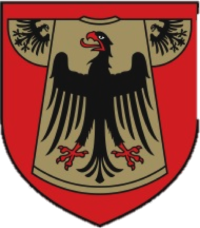 Although, on the other hand, it is possible today to make appropriate changes to the coat-of-arms and then have it registered. Sometimes, only minor changes are needed to convert an incorrect coat-of arms into a correct one which conforms to heraldic rules. Recent research has shown that the bearing of arms originated in the Crusades where it served to identify the bearer -something like our I.D. cards of today. We cannot be 100 per cent sure when the first, real coats-of arms as such appeared but there is a broad agreement that the first emerged during the first and second Crusades. Although it likewise cannot be proven, it is more or less logically assumed that a coat-of-arms was an invention of the arms industry. Someone had the idea of protecting his head by wearing a helmet during a battle only afterwards to find out that he no longer knew whether he was fighting friend or foe. After all, he could not see their faces. So, the warrior took the largest area available to him – i.e. his shield – and painted it with symbols and emblems to identify himself. If it did happen in this way, then it must have been several hundred years before the Crusades. There is evidence however, that signs and symbols were marked on shields, spears and horses in the first Crusade, even though these symbols cannot be considered to be coats-of-arms. It is still not clear what direct role the Crusades played in the establishment of coats-of-arms. In time, the design of arms has repeatedly changed, with style adapting to contemporary taste. 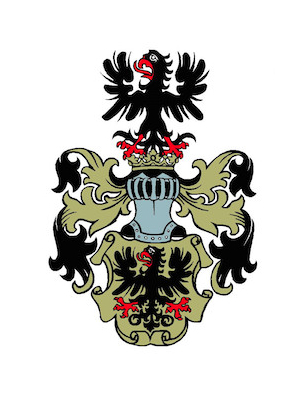 The design of one and the same coat-of-arms differs in the early Gothic period from the one in the time of the Renaissance or the Classical period. 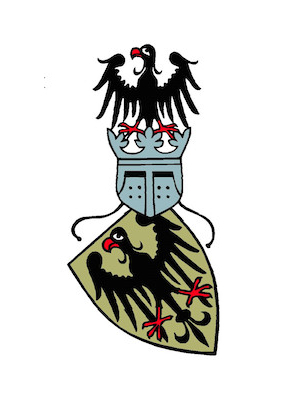 Eherold was set up in the late Eighties to provide experts and anyone interested with information on the current status of contemporary heraldry in various countries of the world.